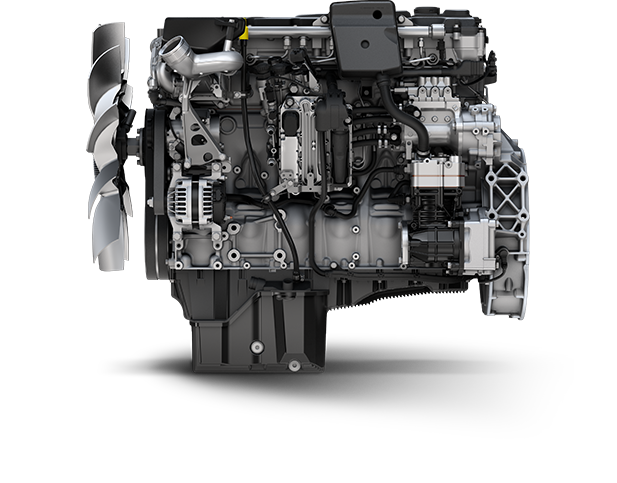 Design your Freightliner new Cascadia® with superior engine, transmission and powertrain components, only from Detroit. Learn how to optimize your Cascadia or new Cascadia's performance with Driver Training. Simply enter your VIN and you will have access to a wide variety of reference videos and support materials specific to the components of your vehicle. Introducing the new Detroit™ DD8™ engine is the latest Detroit offering to serve the mid-range market, providing vocational drivers with best-in-class maintenance intervals that keep your business running smoothly. Detroit has just created a series of DT12 automated manual transmission training videos, focusing on Intelligent Powertrain Management (IPM) for Freightliner. The brand new video series trains drivers on what to expect with IPM, including how Predictive Acceleration, Crest Coast, and Dip Coast mode function. Through use of radar and an optional camera system, The Detroit™ Assurance® 4.0 Suite of Safety Systems provides optimum on-road safety, integrating seamlessly into any Freightliner Cascadia® model equipped with a Detroit™ powertrain. Through use of radar and camera fused technology, the Detroit Assurance®. 5.0 suite of safety systems provides optimum on-road safety, integrating seamlessly into any Freightliner new Cascadia® model equipped with a Detroit™ powertrain. Drivers share their stories about driving their Detroit™ products. From engines and transmissions to maintenance tips, drivers share the experiences they’ve had along the way. If you have driven over a million miles, become a member of our Million Mile Club. Click below to share your story! See the Detroit Assurance 4.0 Suite of Safety Systems in augmented reality.